Norman has been an Accounting Analyst for CPG since 2016. 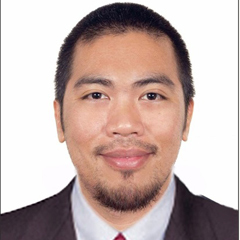 Prior to the current position, he averaged nine years as an Accountant for Saudi Arabian Fabricated Metals Industry Co. Ltd., KSA and one year as a Fulfillment Employee for Smart Communications Inc. Philippines. His scope of work tackles General Ledger Accounts, Account Payables, Account Receivables, Cost Analysis, Budget & Forecast, Reconciliation and Financial Statement Reports among others. Norman is affiliated with the Association of Certified Fraud Examiners, USA (Present); The Institute of Management Accountants, USA (Present); Institute of Public Accountants, Australia (Present); Institute of Financial Accountants, UK (Present); Institute of Certified Public Accountant, Pakistan (Present); Institute of Internal Controls, USA (Present) and Junior Philippines Institute of Accountants (1999 ~ 2005). BS, Business Administration and Accounting, Ateneo de Naga University, Philippines, 2005.